We provide Garbage Disposal Repair in Corona and surrounding areas. 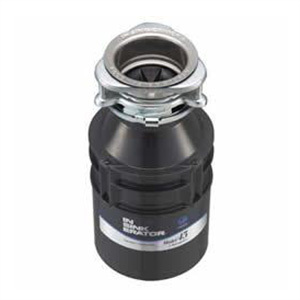 A garbage disposal unit or waste disposal unit is a device, usually electrically powered, installed under a kitchen sink between the sink's drain and the trap. The disposal unit shreds food waste into pieces small enough—generally less than 2 mm (0.079 in)—to pass through plumbing. Usually, there is a partial rubber closure on the top of the disposal unit to prevent food waste from flying back up out of the grinding chamber. A worn out garbage disposal is typically due to the materials or substances put into the system repeatedly and has made it non-functional. There are many items that are not meant to be placed in a garbage disposal because they can jam the system. Some higher end model have reverse jam mechanisms with self cleaning but it's always best to limit what you put inside the unit for grinding. Usually, there is a partial rubber closure on the top of the disposal unit to prevent food waste from flying back up out of the grinding chamber. This rubber closure is very important as it can prevent particles from flying out of the unit and possibly injuring the person standing near the kitchen sink. Before you call for an emergency service technician to come and perform garbage disposal repair, we recommend trying these tips as they will save your time and money. 1) Always deodorize and disinfect your garbage disposal system. You can do this by cutting up a lemon or orange and allowing the garbage disposal to chop it up. Also running some cold water while the unit is turned on will help.This stops bacteria which can flourish on rotting garbage in the and produce fermentation. This can also lead to different air borne diseases which can be air borne. 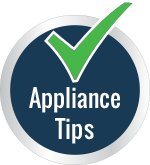 2) Don’t pour grease, oil or fat into your garbage disposal or drain. Grease will slowly accumulate and impede your garbage disposal’s grinding ability as well as clog drains. 3) Don’t grind glass, plastic, metal or even paper, anything combustible or cigarette butts. 4) Don’t use harsh chemicals like bleach or drain cleaners. They can damage blades and pipes. Borax is a natural sink cleaner and sanitizer that effectively works on odor-causing mold and mildew that accumulates in garbage disposals. 5) Always chop up larger items first before grinding them in the unit. And it's best to run cold water (not hot) when running the unit. 6) If the protective rubber closure is torn, broken or missing, it is recommended that you replace it immediately to prevent any objects from flying back out of the unit while it is turned on.